While the line the Grand Canyon Railway (reporting marks GCRY) operates on today has had a rocky history since the Atchison, Topeka & Santa Fe Railway (the Santa Fe) gave up on its branch to the Grand Canyon in 1974, today the tourist line is one of the most popular excursions in the country with its top-notch services and stunning scenery of the Arizona desert and Grand Canyon National Park. 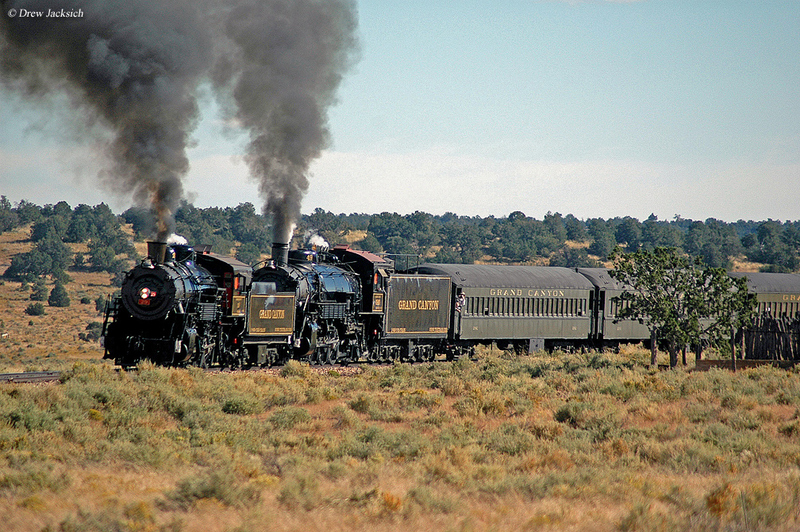 As the popularity of the Grand Canyon Railway has certainly increased over the past twenty years since its inception in 1988 and today, the railroad's fleet of diesel locomotives carry you in a fleet of restored passenger equipment ranging from café and club cars to observations and domes for unparalleled enjoyment and spectacular views. 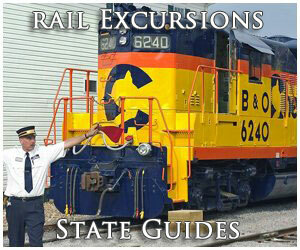 As such, it is one of the more elegant excursion trains currently available to the general public. 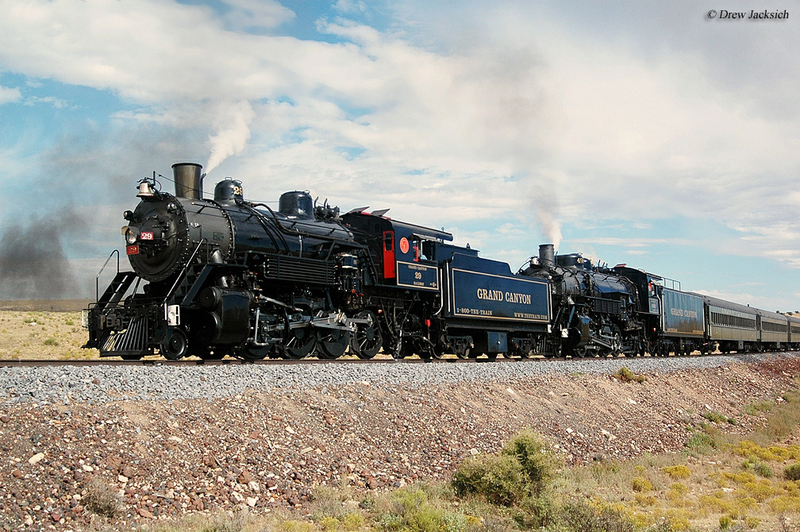 While the railroad no longer operates its impressive steam locomotive fleet they remain on the grounds and trip to the Grand Canyon remains a breathtaking experience. Today the Grand Canyon Railway is owned by Colorado billionaire Phil Anschutz, who recently purchased the railroad from Xanterra Parks & Resorts of Denver, Colorado (which itself had purchased the railroad and assets from owners Max and Thelma Biegert in early 2006). During the Biegerts ownership they watched their small operation grow from a dilapidated and rundown property (which was in the process of being salvaged after two other attempts at turning the railroad into a tourist trap fell through in the 1970s and early 1980s) in 1988 to a popular, well respected, and well maintained railroad when they sold it in 2006. 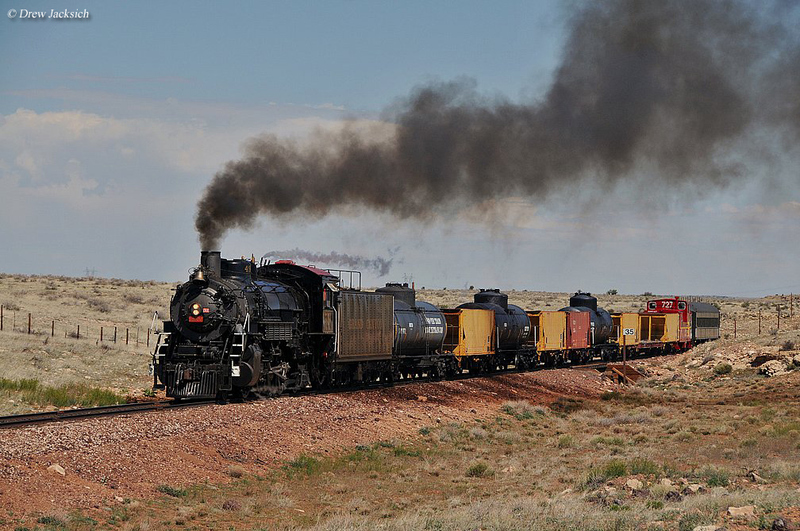 The rail line to the Grand Canyon itself dates back to 1901 when the Santa Fe Railway decided to complete a branch (which had been started in 1898) from a junction at Williams, Arizona, which connected the national park 65 miles due north. 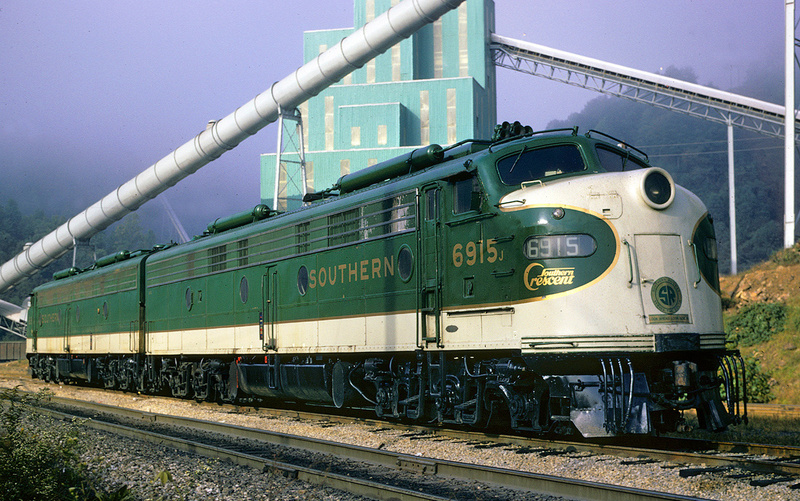 While the line did provide the Santa Fe with some freight traffic its primary purpose was for accommodating passengers and the general public looking to vacation. During the late 19th and early 20th centuries many railroads built routes specifically to reach notable geographic locations, such as national parks, particularly in the west (several eastern trolley and interurban lines also provided similar services during the same time period as they would construct lines to reach beaches, hot springs, and parks). 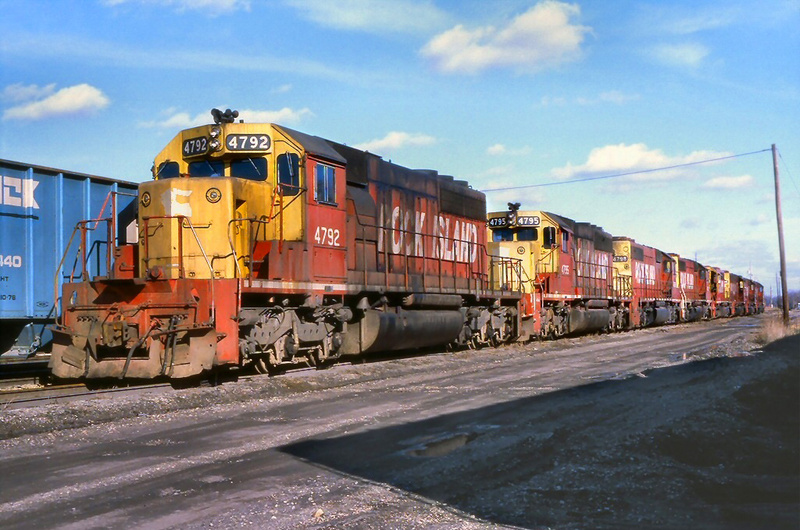 For instance, the Pacific Northwest lines of the Northern Pacific, Great Northern, and Milwaukee Road all built branch lines to serve Yellowstone National Park in the state of Montana. All three also operated their own hotels/resorts near the park, and the Santa Fe did the same at the Grand Canyon, opening the El Tovar Hotel just feet from the canyon rim in January, 1905. Remember that during this time automobile travel was in its very early infancy and trains were used by the public to travel virtually anywhere of significant distance. The idea for resorts, particularly those operated by the larger railroads near or in national parks worked quite well at drawing in tourists and vacationers (or simply sightseers). 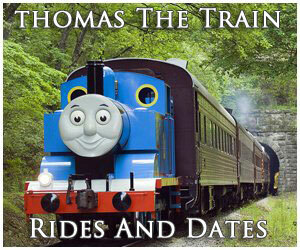 Depending on your interests and budget the Grand Canyon Railway offers a wide range of services for passengers. 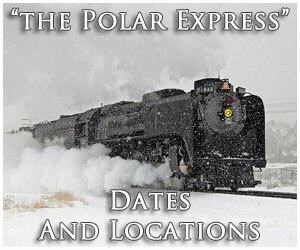 Because of the climate trains operate year-round and they offer four different classes for you to choose from during your trip; Coach, First Class, Observation Dome, or Luxury Parlor First Class. Each is more expensive than the previous offering an increased level of service with Luxury Parlor Class located in the observation car providing refreshments and relaxing accommodations. Of note, the Grand Canyon Railway is one of the few operations to offer a wide range of lodging and dining options for visitors. Additionally, if you are interested in vacationing at the canyon considering purchasing one of their packages for just such an occasion. 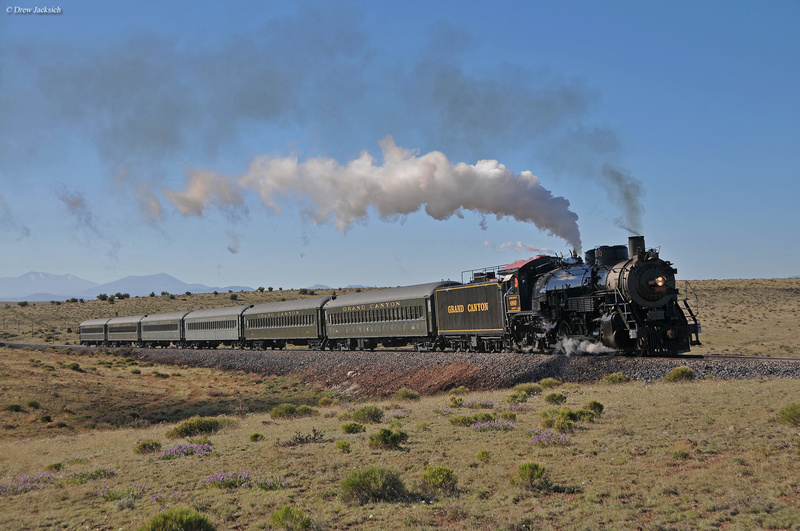 For more about the Grand Canyon Railway please click here to visit their website, which provides all of this information and much more about the train. 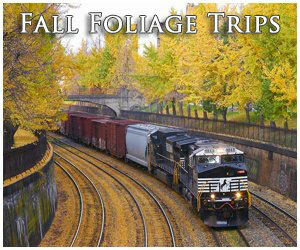 If you are interested in riding one of the few luxury excursion trains in the country, this is certainly one of them. 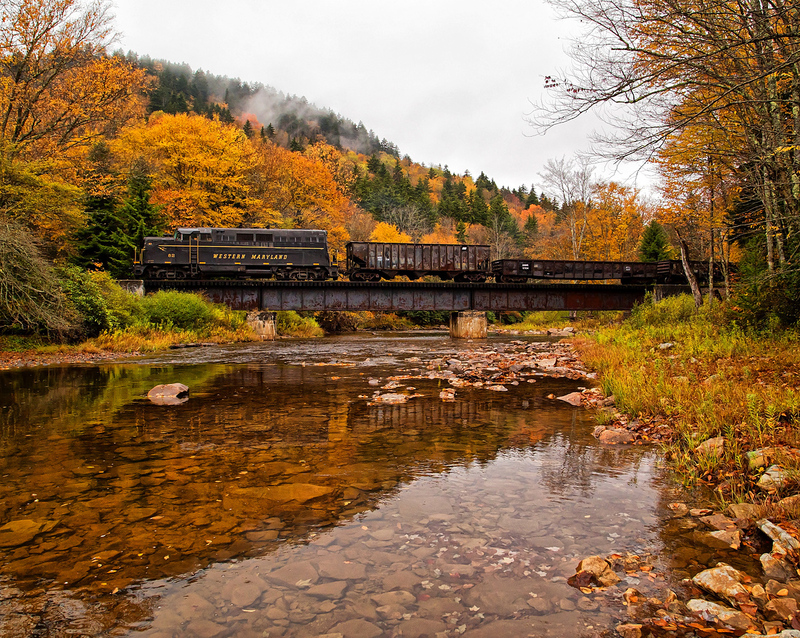 If you are interested, for a general history of the Santa Fe Railway please click here. 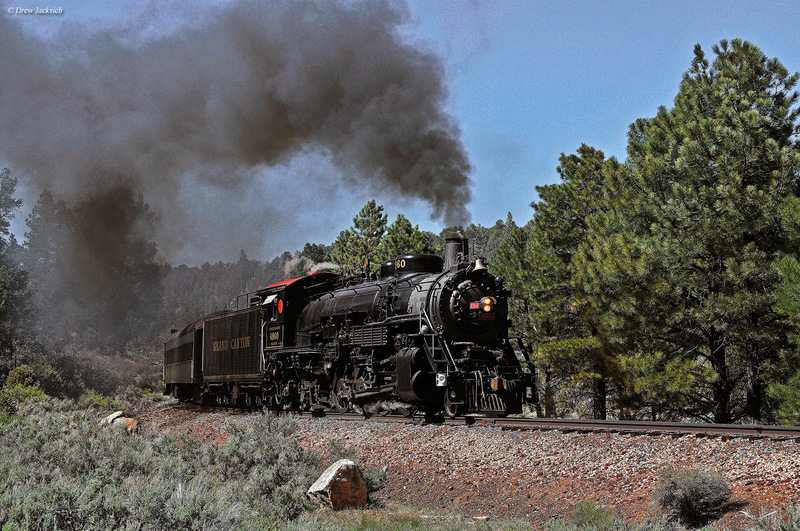 Also, for more information about excursion trains like the Grand Canyon Railway you might want to consider the book Tourist Trains Guidebook, which is put together by the editors of Kalmbach Publishing's Trains magazine.